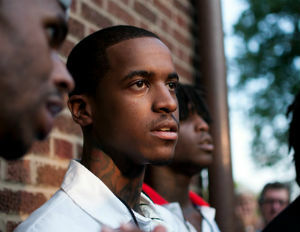 Chicago rapper Lil Reese is blaming ‘haters’ for the leaked video released earlier today showing him attacking a woman. The woman being beaten in the video by Reese has yet to be identified. The 1 minute video shows Reese and a woman in an argument when the woman tells him to keep his hands away. A few seconds later, Reese attacks her with a flurry of punches.